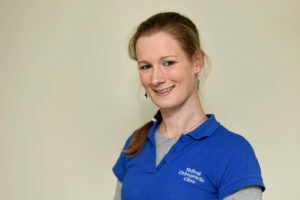 Laura Cunningham graduated with Merit from the prestigious Anglo-European College of Chiropractic in 2010 after an intensive 4 year course studying Chiropractic. 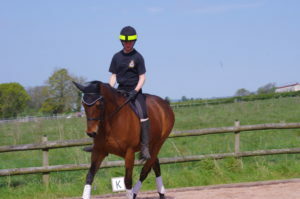 She immediately decided that she wanted to practice in the beautiful county of Shropshire, and came up to join Jon Sharp in his practices at Shrewsbury and Shifnal, as well as working in a clinic at RAF Shawbury – later to become Shawbury Chiropractic Clinic. Since then, Laura has taken over the clinic at Shifnal to run as her own enterprise. Laura is a passionate and committed Chiropractor who strongly believes that many people could experience massive benefit from the simple, effective and safe treatment offered by Chiropractic. She aims to always place her patients’ well-being above all other concerns, and prides herself on being completely honest with all her patients so that they are able to take complete control of their own health and be the best they possibly can. Laura thoroughly enjoys the challenge of working out what has happened in each patient’s case, fully aware that no two injuries are ever exactly the same and the key to preventing such injuries happening in future is always going to be understanding what caused them in the first place. She also makes sure each patient fully understands the nature of their condition, with many people commenting how nice it was to finally understand what was going on, as well as how it is going to be addressed. While still an undergraduate, Laura had already had an article of research accepted by the internationally renowned Aviation, Space and Environmental Medicine Journal, detailing the occurrence of Low Back Pain in helicopter pilots, both in the military and civilian sectors. As the daughter of an RAF helicopter pilot, this was an area of particular interest to her. While her busy clinic life has left no time for further explorations into the world of research, Laura still keeps her finger well on the pulse of the latest research into all areas of Chiropractic care to make sure she is constantly able to deliver the most up-to-date and effective care to all her patients. Since graduating, Laura has also continued her studies by completing a Post-Graduate Certificate in Chiropractic Practice, achieving a Distinction for her work in this area. She has also taken and passed a course in British Sign Language Level 1. As well as this, Laura regularly attends seminars and lectures about all aspects of Chiropractic Health Care, with the particular aim of extending her knowledge into all areas. 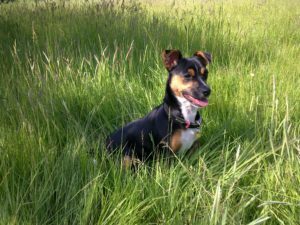 Outside of work, Laura is a keen musician and horse rider, spending much of her spare time around her ex-racehorse Spot with her Jack Russell, Freya. She also maintains an interest in DIY (except electrics…on no account should Laura ever touch anything electrical; it inevitable ends in loud bangs!) and vintage cars, helping her father maintain their 1950s Ford Super Dexta tractor, Series II Land Rover and Morris Minor Traveller.